During the holidays we love to have a warm home. We like the atmosphere to be inviting, and I really think that a warm, yummy scent can easily make your home feel more welcoming. That's why I absolutely love Febreze. We've actually used Febreze for many years - It's definitely been one of our go to brands for home fragrance. Febreze actually released a special holiday edition of fragrances, which included: Apple Spice & Delight, Cozy Vanilla Sugar, Cranberries and Frost, Glistening Alpine, Winter Magic & Glow, and Holiday Bloom & Cheer. For my review, I received a few great products, featuring the cozy vanilla sugar scent. First off, I have to say that the scent was amazing. It was like an extra creamy vanilla, that smelled good enough to eat. Everyday, as soon as I came home from work, and opened the door to the house, I was instantly more relaxed. Walking into something so inviting, really just helps keep you calm, and mellow after a long, hard day. The one we were most excited to try was the candle. We love our candles over here, and we're always happy to add another scent to our huge collection. 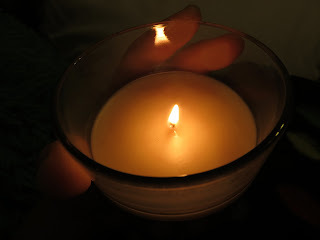 I love the scent of the candle, but the only thing I found was that, while the scent was amazing, with just the candle lit, alone, it was not enough to fill the room with the warm scent. If you were sitting by the candle, you could smell it, but if you just walk into the room, it was not noticeable enough. Fortunately I have a little spot right beside my bed, where I could place it, and keep it close. So when I'm laying down, or just relaxing on my bed, I can completely take in, and enjoy the candle. The NOTICEables were just great. We've had this type of product before, but haven't had any for a while. As soon as they got here we plugged them into the wall (one in the hall way, and one in the kitchen) and within about an hour we could tell they were there. The scents filled up the rooms, and have been ever since. I am definitely going to try and pick up another of the scents, because I just can't believe how well they spread throughout the rooms. The last product we tried was the Air Effects. Again, the scent was amazing. 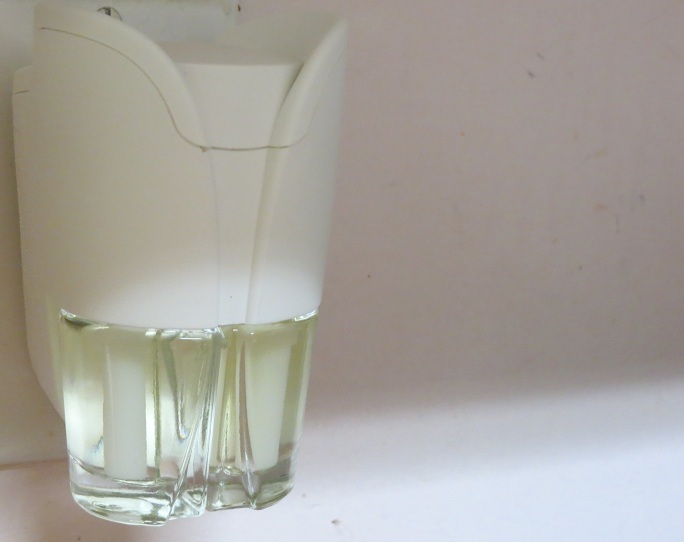 It fills the whole room with scent, and one thing I love, is that the scent stays too. For instance, I sprayed some of our throw pillows on our couch, and the scent stayed for days. These scents are a special edition, and won't be out long. So be sure to grab any if you see them! The Febreze products made our home so much more festive. The warm scent really tied in with the Christmas atmosphere, and I would definitely recommend the special edition collection. 1 very lucky winner will win a $10 Febreze Coupon Booklet, and a $15 Visa Gift Card! Ends 1/6. The Febreze product, information, and two gift packs have been provided by Febreze. Review product was provided to me free of charge. All opinions expressed within this post are my own, and were not influenced in any way. Must be 18 years or older to enter. NO PURCHASE NECESSARY. This giveaway starts on December 31st, 2012, and will end on January 6th, 2013. Winner will be drawn via Random.org via Rafflecopter, and announced on top of the Rafflecopter form, as well as on the top "Winners" page. The winner will be emailed and will have 48 hours to respond to my email before a new winner will have to be drawn. If you're tweeting for entries, you must have an "unlocked" account. The number of entries received determines the odds of winning. VOID WHERE PROHIBITED BY LAW. I think I'd like Apple Spice & Delight! I think I'd like Cozy Vanilla Sugar! I would love to try the Holiday Bloom & Cheer. I would like cozy vanilla sugar. Holiday Bloom & Cheer sounds so festive and I bet it smells heavenly! The Apple Spice & Delight sounds good to me! I would like the Cozy Vanilla Sugar. I would love to try the Cozy Vanilla Sugar! Sounds so good! I like the Winter Magic & Glow. I would choose Cranberries and Frost, sounds amazing! I would like to try Apple Spice and Delight. I think I would like Cozy Vanilla Sugar best. I would probably like the Vanilla Sugar the best. I think I'd most like Winter Magic & Glow. Thanks. Cozy Vanilla Sugar for me. Thanks! I would prefer the Glistening Alpine. I would like to get the Cozy Vanilla Sugar scent. I would love Winter Magic & Glow! Glistening Alpine sounds good to me. The Holiday Bloom & Cheer! I'd like the Cranberries and Frost. The Glistening Alpine sounds the most appealing to me! I think I would like Cranberries and Frost. I love fruity scents. I think Cranberries and Frost sounds best! I would like to try the Glistening Alpine, thanks! I think Cozy Vanilla Sugar would be wonderful. I'd probably like Glistening Alpine. thay all sound nice maybe Holiday Bloom & Cheer. The Cranberries and Frost sounds fun! Cozy Vanilla Sugar sounds like it would smell great! Cozy Vanilla Sugar for sure! there isn't a febreze i don't like so any is good for me! I'd love the Glistening Alpine scent! Cozy Vanilla Sugar sounds the best to me. I would like to try the Cozy Vanilla Sugar scent the most.